If you’re considering renting a trade show booth in Austin, you need a booth rental company with the size, experience and expertise to handle all your exhibition needs. That company is ExpoMarketing, the pioneer in rental booth solutions for trade shows, conventions and other exhibit forums. Since 1991, we’ve been designing and building Austin trade show booths that provide a custom look and feel while giving exhibitors a cost-effective alternative to the high cost of booth ownership. Our award-winning rental booth designs are used by exhibitors in trade shows from coast to coast, and we carry one of the largest booth rental inventories in the U.S. When you want a trade show booth that provides a custom-built look and feel for less, you can count on ExpoMarketing to help you stand out from the crowd. Renting an Austin trade show display from ExpoMarketing is the smart solution that’s easier on your staff and your budget. Renting gives you the flexibility to change booth sizes. Our rentals can be designed to lower your labor, shipping and drayage costs. And they help you avoid additional fees for maintenance, refurbishment, pull and prep, and storage. ExpoMarketing has our own in-house graphic design and production teams who specialize in producing engaging booth designs and graphics. Plus, our experienced trade show experts can help you manage budget, form submissions, and event deadlines as well as coordinate your shipping and labor. 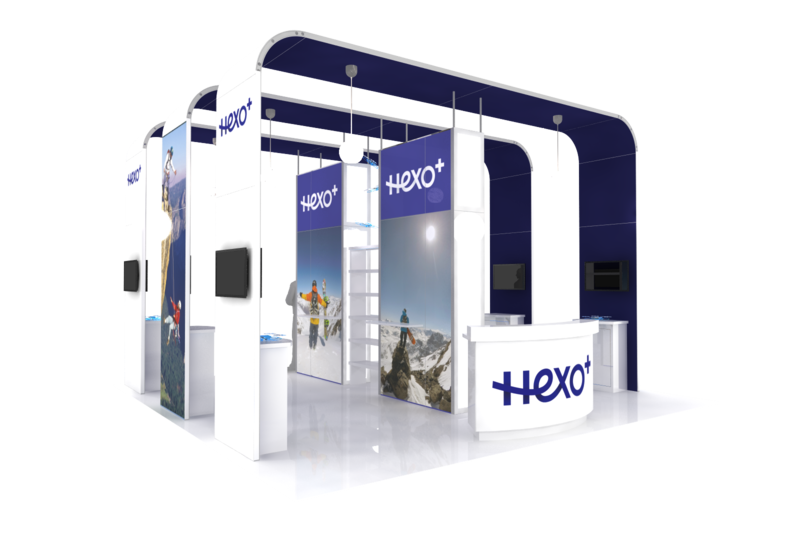 From concept to completion, we deliver a complete exhibit solution that ensures your booth lives up to its full potential. Located in the heart of the capital of Texas, the Austin Convention Center is a LEED® Gold-certified building in Austin’s historic downtown section. Only a short distance from 6,500 downtown hotel rooms, the ACC is constructed of native Texas materials and offers a variety of facades that reflect the architectural diversity of this vibrant city. Designed with plenty of window space for an open feeling, the ACC stretches over six city blocks, encompassing more than 880,000 square feet of space. This includes 247,000 square feet of column-free exhibit space that can be divided into five contiguous halls with the capacity to accommodate more than 1200 10’ x 10’ exhibitor booths. A gigabit-rated building with complimentary wireless Internet access, the ACC’s communication infrastructure can move voice, video and data at 1 billion bits per second. ExpoMarketing rents all the accessories and equipment required to put on a successful exhibit. From flooring and furniture to monitors, fixtures, lighting, A/V equipment and more, we can provide everything you need to make a bold exhibit statement that sets you apart from the competition.